Well there are a few answers to this question and I hope to be able to answer them for you. It has been said that one of the best times you can learn to drive a forklift is when you are in the unfortunate position of being out of work. You will have the opportunity to train up on how to use a forklift before others who may get a job but will then have to learn how to drive a forklift, so you have the benefit of getting in first. You will be more prepared than someone who has just got a job but doesn’t know how to drive a forklift. In quite a lot of cases it is highly likely that you can get free forklift training if you are currently unemployed. There is the free to learn and also the government “back to work” schemes where companies are subsidised that then allows you to gain your certificate in forklift training. There is the online course that is mainly for those who already have a good understanding and also experience in forklift driving but may want a new certificate. Then there is the in person course which is for beginners, where you will be starting from absolute scratch. You will be taught about workplace safety to the more obvious questions like how do I get this thing going? What if you have to fund yourself? OK, so unfortunately this is quite an expensive road to go down and it is one of the most expensive types of training, so it may be a good choice before you fund the course for yourself to check that you aren’t entitled to any help with training costs first. So you will take the same course as mentioned above but the difference is that you will be paying for it yourself. The benefits are exactly the same whereby you will still be likely to become employed and you will gain your certificate but of course you will be picking up the bill. The forklift license cost will be determined by the course you are looking to take. So if you want to take the basic forklift course you can expect to pay around £600. Conversion courses cost will be determined by the type of truck but on average you can expect to pay around £500 to £600. 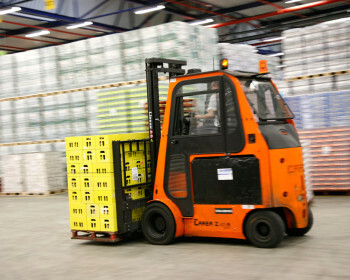 This is a big investment in your future and although the prices are quite high initially once you gain your certificate you should always be in employment as forklift drivers are in high demand. It will be for you to decide whether the cost of the course weighs up to the benefits. Forklift courses usually take a week to complete or sometimes even less. Watch out for companies that say you need to take a long course, as quite often this just isn’t the case, they may be trying to get you to pay for extras that just aren’t necessary. Make sure you know 100% it is that you are signing up for and the breakdown of the costs. Remember that the benefits for taking a forklift course is high, but of course the cost is also steep, but like I say you have to decide for yourself about how much money you can commit to putting into the course. I wish you the best of luck with it all and I really hope you gain your certificate in forklift driving.